The deposition of a solid material such as nanowire or nanotube or particle or a thin film on a substrate by the generation of reactive species in the gaseous phase is termed as chemical vapor deposition. 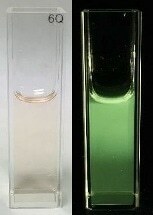 When precursor gases pass over or come in contact with the heated substrate, reactive species are generated. There are a number of CVD forms that include low pressure chemical vapor deposition, atmospheric pressure chemical vapor deposition and metal organic chemical vapor deposition. In the case of MOCVD, metal organic species are used as precursors to form thin films of metal oxides, metals, metal nitrides and other kinds of metallic compounds. Atomic layer deposition (ALD) is a unique CVD form in which it is possible to have atomic scale deposition control. The reaction chamber is fed with different precursors in an alternating fashion one at a time and self-limiting surface reactions take place in such a way that during each reaction cycle, the same amount of material is deposited. Highly smooth, uniformly thick alternating layers of a range of materials that are very dense and with very few defects are formed. ALD/CVD processes are impressive as they enable the growth of thin films that are conforming as well as uniform with an accurate thickness control. Basic CVD applications include producing wear-resistant, corrosion-resistant and high temperature resistant protective coatings and enable the formation of optical fibers, dense structural parts, ceramic composites and interesting new powdered/fibrous materials. CVD is suitable for fabricating optical storage media and is used for producing semiconductor devices. However, with its even greater control of film formation, ALD is becoming highly attractive for the deposition of thin films with applications in microelectronic devices, such as integrated circuits, ferroelectric memories, switches, radiation detectors, thin-film capacitors, microelectromechanical structures (MEMS), and possibly as new high-k gate dielectrics to replace silica in future generations of metal oxide semiconductor field effect transistors. They also are significant for improving electroluminescent device technology. Process conditions have a significant impact on material properties produced using CVD/ALD and the right selection of precursors is important for obtaining the desired material. Typical CVD precursors include metal halides and hydrides however a large array of metal organic compounds are presently used that include metal alkoxides, metal alkyls, metal aminidates, metal carbonyls and metal diketonates and others. Also they eliminate halogens that can be corrosive during deposition and is beneficial if incorporated even in the formed film. Precursors must be volatile but thermally stable so that decomposition does not occur during vaporization and they are soluble in an inert solvent or liquid at room temperature. Furthermore there must be preferential reactivity towards the growing film and towards the substrate. 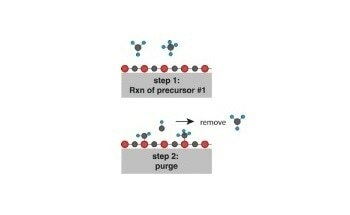 ALD precursors must also have self-limiting reactivity with the film surface and the substrate. Only one element is contributed to the deposited film by most precursors with the remaining vaporized during the process. Certain compounds can contribute more than one element and reduce the number of reactants needed for a particular process. On the other hand, certain metal organic precursors can contribute to incorporating oxygen and carbon into the thin films and this factor also needs to be considered. Furthermore, the potential for the undesired pre-reaction of precursors in the vapor phase must also be studied. Metal alkyl amide precursors include simple amino compounds such as dimethyl and diethyl amine and include a large class of compounds but their use in ALD/CVD has been restricted because of their thermal instability. Zirconium and hafnium derivatives are highly stable up to 250-300ºC and have reacted with water, ozone, and oxygen radicals. 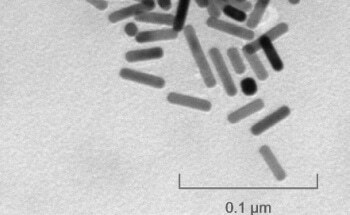 The investigation of tantalum alylamides has also been done. Other alkylamides include antimony, aluminium, germanium, tungsten and gallium complexes. Dialkylamido ([Zr-(NR2)4], [Hf(NR2)4]) and mixed dialkylamide/alkylimido ([W(NR2)2(NtBu)2]) compounds have also been used for the ALD of thin films of zirconium and hafnium oxides and tungsten nitride, respectively. Carbon incorporation in the final film is inhibited with no M-C bonds. Furthermore the lower bond strength of the M-N bond when compared to those of the M-O and M-Cl bonds in alkoxides and halides enable low temperature deposition and without corrosive byproducts such as those produced with halides. Metal alkyl amides are important as single source CVD precursors for nitride thin films. Basic reagents such as oxygen, water, ozone can react with metal alkyl amides to produce oxide films. Certain metal alkyl amides, such as tetrakis(dimethylamido)titanium are also suitable for ALD when used with high ammonia amounts. In case silane is used, Ti-Si-N films are produced. Water reacts with hafnium alkylamides to produce interesting films with low carbon and nitrogen impurities. High conformal tantalum oxide films have also been produced similarly. If reacted with alkoxysilanols or alkylphosphates, metal silicates or phosphates, respectively, can be deposited using metal alkyl amides. Also alkyl amide compounds of antimony, gallium, niobium, silicon, tantalum, tin, titanium, and yttrium are available.